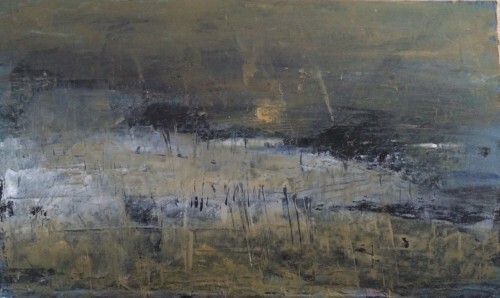 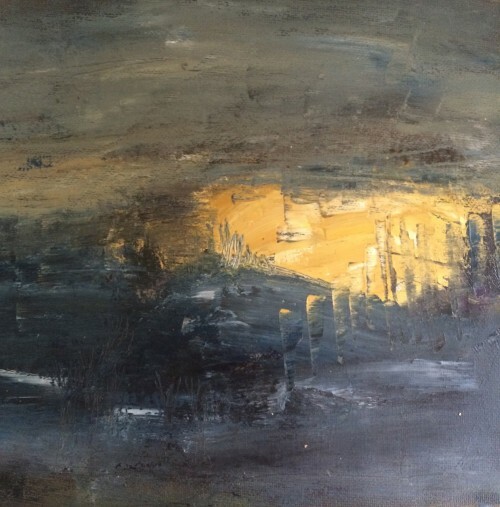 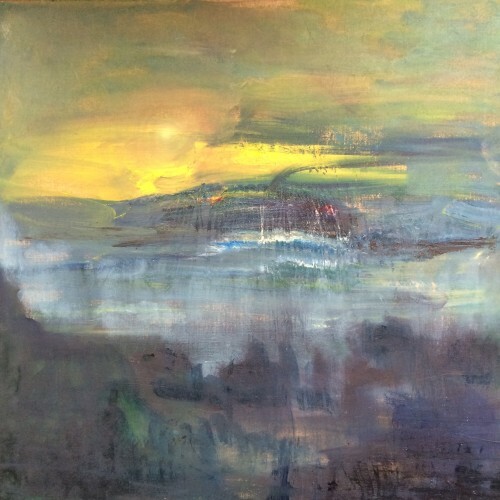 I employ mostly oils in my work, painting abstract, expressionistic landscapes and seascapes. 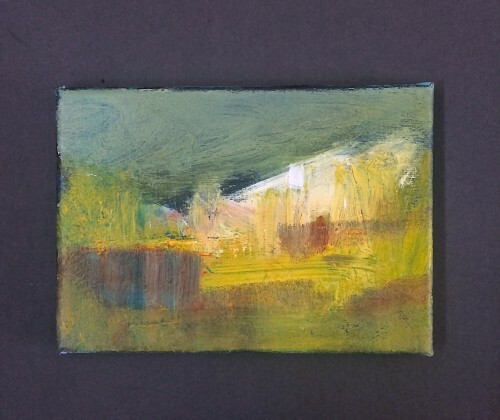 Inspiration for these is garnered from places real and imagined and the aim is to capture, not a picture postcard representation, more the sense of a place and the memory or feeling it evokes. 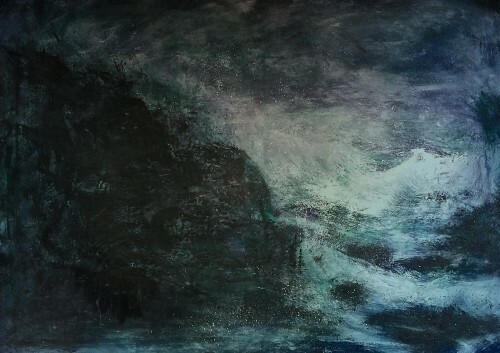 My work is also influenced strongly by Scotland’s wild places, stunning light and dark stormy skies and by views of the natural landscape, be it bleak or beautiful (preferably both!). 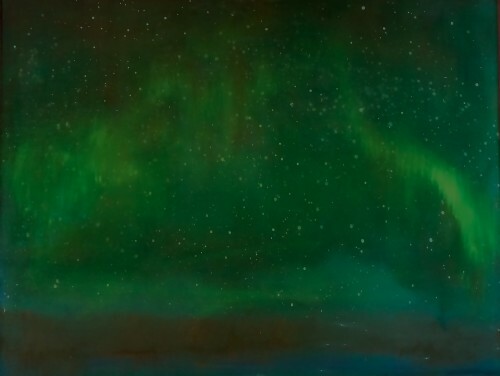 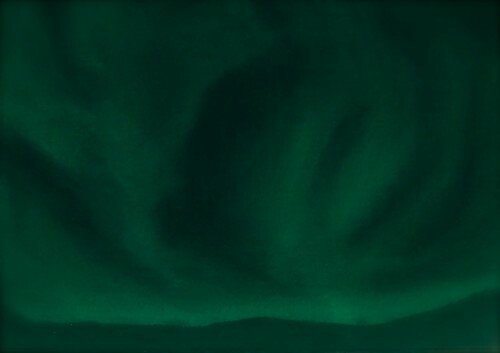 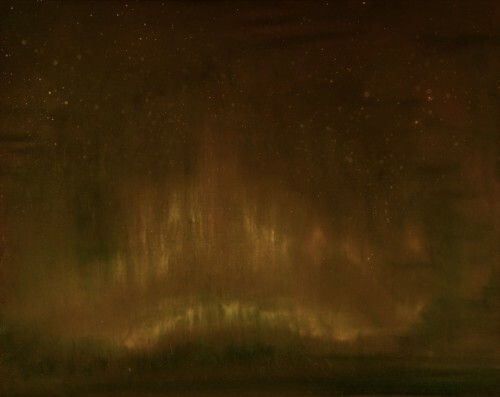 I am also working on a series of paintings inspired by the eerie, etherial beauty of the Northern Lights.